White Center boasts its first gay bar, while one of Seattle's most anticipated beer spots finally opens in Ballard. A bar beer geeks have their eyes on, Trailbend Taproom, is finally open in Ballard, near Reuben’s Brews, Stoup Brewing, Lucky Envelope Brewing and Populuxe Brewing. It makes for one heck of a bar crawl. Trailbend comes from the guys behind The Dray (best soccer bar in the city) and The Yard in Greenwood. 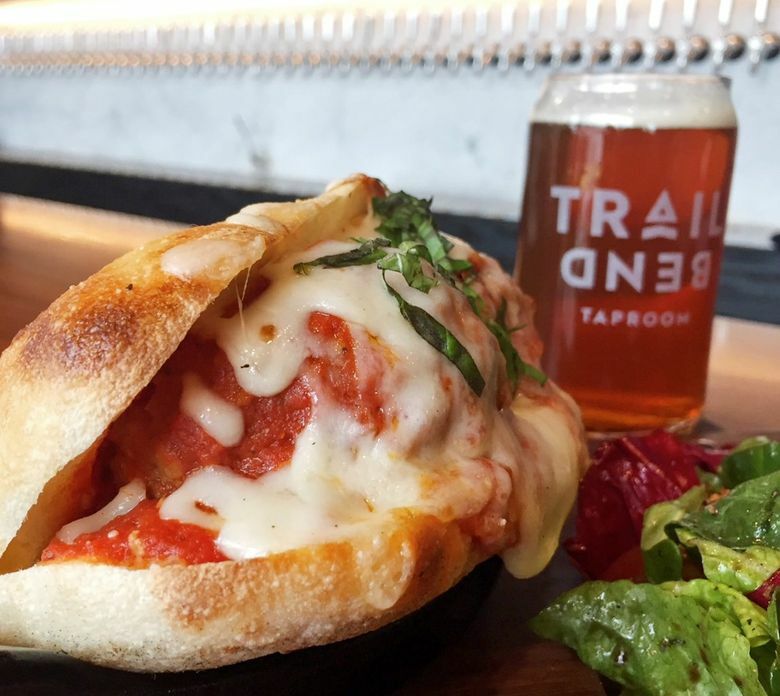 The food — Neapolitan-inspired pizzas and hot sandwiches such as meatballs and sausage on homemade bread — is a step up from the usual taproom. But Trailbend is all about the beer, 42 taps including some Belgian ales and saisons such as Chimay Bleu and Boulevard Tank 7 Farmhouse. But the true test of any good taphouse is how in tune it is with the local scene — Trailbend carries many cult brands and local favorites such as brews from Three Matchless Brewing in Tumwater and from the revamped Urban Family Brewing Co. in Magnolia. This Eastern-themed cocktail bar opens in the former Four Seas Restaurant space in the Chinatown-International District. But for how long? The building is scheduled to be torn down to make way for a multistory building in the future. I-Miun Liu, the owner behind Dynasty, thinks he has up to two years in that space before the demolition. In the meantime, he’s working on a more ambitious and permanent cocktail lounge, East Trading Company, a Chinese-themed den in the old Sun Liquor distillery space on Capitol Hill, with Chinese characters and kung-fu motif. It’s scheduled to open in mid-May. Liu, who owns Eastern Café and four branches of Oasis Tea Zone (his Oasis branch in the I.D., might be the busiest bubble-tea hangout in Seattle), will also open Raised Doughnuts in the Central District in mid-May. Dynasty Room, in the meantime, does herb-and- tea-infused cocktail drinks and deep-fried snacks from smelt to chicken. Michael Chu formerly of Ba Bar, will run both cocktail lounges. One of the founders of Unicorn on Capitol Hill and two former employees from the cocktail temple Canon started this Belltown bar. Don’t expect fancy craft cocktails. Black Cat is closer in spirit to other Belltown newcomers like Screwdriver and Jupiter, with a divey-aesthetic, pinball games and a bar-and-a-shot menu. Windy City Pie opens Breezy Town Pizza inside this live-music venue on Beacon Hill. This Pioneer Square cocktail bar opened inside the new Embassy Suites by Hilton. Its extensive craft-cocktail menu was done by the nearby cocktail bar E. Smith Mercantile. The new Moxy hotel in South Lake Union comes with a bar. The hotel is part of Marriott’s new line of more affordable rooms to target a younger, hipper crowd. The bar menu is heavy on vodka cocktails and sells a dozen wines by the glass. The first gay bar in White Center is open along the main drag serving sandwiches with pork belly and other meats smoked in-house. Talented winemaker Mark Ryan opens another tasting room. This one features his line of younger vintages and at a lower price point ($15-$28) than his namesake label. Tasting room is at the Woodinville Warehouse District. The best cocktail bar to debut this year so far — and it’s going to be hard to top it — is in Tacoma, from barkeeper Jason Alexander. Alexander has a big following for his tiki bar Tacoma Cabana, which draws cocktail geeks from as far as Everett to Seattle. His latest, Devil’s Reef, is a more tightly-focused, nautical-themed rum bar located in the Opera Alley. The people behind all those branches of Purple Café and Wine Bar in Seattle and on the Eastside will open this wine bar, inside the Thackeray Kitchen and Bar in Wallingford. It’s scheduled to be open in mid-April. The 60-seat bar boasts a “global” list of 200 different bottles and includes 50 wines by the glass. Heritage Distilling Co. tasting rooms in Ballard and on Capitol Hill. Eater reports Great Sea Sake will soon open in Belltown.